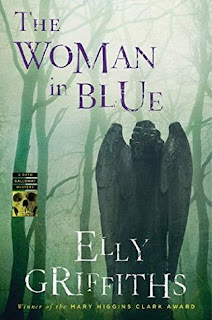 The Woman in Blue is the eighth entry in the Ruth Galloway series, and probably my least favourite. I was really looking forward to this book as this author is a favourite of mine, along with Billingham, and I couldn't wait to continue the adventures of Ruth, Harry, and Cathbad. Unfortunately, there were some things that really set me on edge in this one, and I couldn't seem to get past them and just enjoy the story. As always though, I liked the setting. Set in an old medieval town, I liked the descriptions of the buildings and the surroundings; and since Little Walsingham is famous for its religious apparitions, it seemed like it had the perfect ambiance for a good little murder/mystery, with all of the political and religious wrangling that would entail. What I didn't count on was the close-mindedness of both Harry's and Ruth's characters to the religious fanaticism and beliefs of others, and how annoying and irritating it was in this book. To be honest, at times, Ruth's tone was pretty condescending, and it got old, fast. I was almost ready to go back and listen to her whine about her weight again rather than listen to her put down those who believe. And considering the mystery was about threats against female clergy and a murder that was connected to those threats, the anti-religion attitude got really annoying, and I would have just rather read about the investigation. It's not that I'm against Ruth and Harry's beliefs, and the author has been very open in previous novels about them, but that's as far as it went, while in this novel the tone changed quite a bit, almost with a condemning voice. Maybe I was just being more sensitive than usual, but I tend to think that if you're investigating a crime, you should always keep an open mind about someone else's beliefs. The plot itself never really got off the ground the way the other books did, and I never got invested into the story. Although there were a lot of twists and turns, it wasn't too difficult to pick out the murderer. I wonder if the author got too caught up in trying to portray the religious fanaticism of some of the characters in this book while trying to ensure the reader that her main characters were not like them that the actual plot kind of got away from her. That and trying to ensure that Cathbad retains his ever-present open mind, which I much preferred. 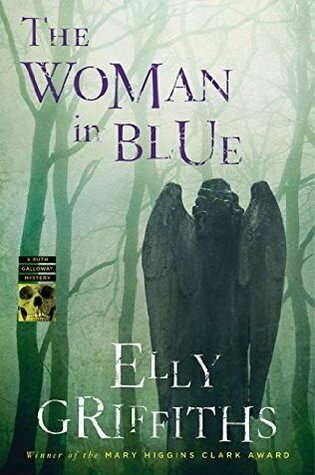 The Woman in Blue is one of those books that I'm sure will have mixed reactions such as I had; either people will really love it or will question Ruth's annoying behaviour. For die-hard fans of this series, I would recommend you skip it and wait until the next one comes out as will, of course, read it, as I'm not yet ready to give up on this series. I usually enjoy the characters tremendously, and the plot enormously, but this one just didn't interest me like the others, which is a shame as I really liked the setting. Dead and Breakfast is the first entry in a new series, and I enjoyed it quite a bit. 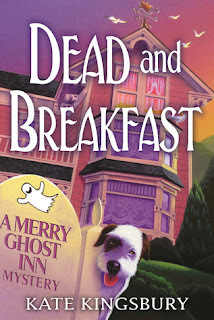 The story combined an old case with a new one, something that I have always liked, and the old house Melanie and her grandmother, Liza, are turning into a bread and breakfast has a ghost. What else could you want? The plot starts off with a bang when the two women find a skeleton in a room hidden away in one of the bedrooms. I liked how the action began immediately and I thought it amusing how the women reacted upon seeing the skeleton in the closet; it actually made me like them immediately. What I especially liked is that the women weren't deliberately snoopy, but chose to investigate on the side because the police had put their case on the back burner as it was an old case, and they wouldn't be able to open their inn until the police could get to their investigation, which could take months, something that wasn't financially viable, especially after being turned down for a loan to see them through several months. To me, there was actually a purpose behind the women's investigation and they didn't interfere with the police in any way, which has always been one of my beefs in other cozy mysteries. The women always made sure they kept the police informed, and when they were told not to do something, they actually followed instructions. This made the mystery a bit simpler than others, and definitely predictable, but I didn't mind in the least. And there were some things that were left unresolved. Having the setting be a huge house full of mystery and history is great and I can't wait to learn more about it; I think having Melanie and Liza hear the laughing ghost is setting us up for a future story and I can't wait to learn more. It should be interesting. And I couldn't help but laugh when Liza nicknamed the ghost 'Orville'. All I craved when I heard the name was buttered popcorn, something I rarely eat. I enjoyed the characters very much, especially spunky Liza, whose witty dialogue often cracked me up. She is just one of those grandmothers everyone wished they had, spunky, fiery, but so loving and caring to Melanie all of the time. I liked Melanie as well, but as with many of the characters in this book, there was little character development and very little background information on any of them. I am sure we will get to know many of them better in future books. Dead and Breakfast is a fun first entry into the Merry Ghost Inn series. While the mystery itself was kind of simply and easy to figure out, I enjoyed the characters and the setting very much. There were several threads left unresolved, which didn't interfere with the conclusion of this novel, but it left you wondering where the author was heading next in the series, and I am looking forward to learning more about Melanie and Liza and the other characters around town. I am definitely looking forward to the next book in this series. The city of Providence, RI is as much of a character in the Hell’s Belle books as Nina, Frankie, Babe, etc. Some of the places are figments of my imagination, but a number of them really do exist! Here’s a virtual walking tour of these locations. The apartment Nina lives in in Hell’s Belle is located in the Olneyville section in Providence. This is the old manufacturing hub in the state, with beautiful old factory buildings circling the main street. While the Olneyville that Nina inhabits is run down and desolate, the area is experiencing a bit of a resurgence with artist friendly policies that are turning these old gems into live/work spaces for creatives. A quick walk (or motorcycle ride) from Olneyville is Federal Hill, Providence’s Little Italy. This is where Nina and Max have coffee and we are introduced to Bertrand for the first time. Venda is a real place, it exists, and it’s something of an institution! You can buy prepared foods, fresh pasta, pastries and coffees. Go hungry, leave stuffed. When I was growing up, the Biltmore was to Providence what the Plaza Hotel was to NYC. Over the years, a number of large hotel chains as well as charming boutique hotels have upped the competition for tourist and event dollars, but this Art Deco gem still cuts a striking appearance. In the Hell’s Belle world, this is ground zero for the city’s poltergeist problem, and serves as our demon mayor’s office away from City Hall (which is, in actuality, right across the street). The big battle in Tainted Blood happens in the long abandoned East Side Railroad Tunnel. When I was yound, the tunnel was easily accessible - some silly “no trespassing” signs were going to keep out a bunch of creative college kids eager to party. During the era of underground raves, this was a key spot for artsy-grunge parties. After a particularly rowdy party, tunnel was finally sealed over. But its legacy endures! Lets head on over to Fox Point, where Babe’s On the Sunnyside still exists in the Hell’s Belle world. Babe’s was a real watering hole when I was growing up. The kind of neighborhood bar that served cheap beer and the only “small plates” served were the pickled eggs. The original proprietor was an old boxing trainer, and old pictures of fighters adorned the walls. I recently saw the place described as “an old punk rock hangout.” And I am not sure that moniker is entirely accurate, not for the Babe’s I knew from my younger days, nor from the Babe’s the exists in the Hell’s Belle world. It was a good, old fashioned bar where as long as you didn’t cause any problems, you were welcome. And that’s what Hell’s Belle Babe’s continues to be. 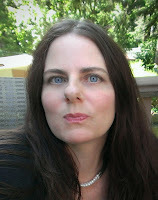 Karen Greco is originally from Rhode Island and loves hot wieners from New York System, but can't stand coffee milk. She studied playwriting in college (and won an award or two). After not writing plays for a long time, a life-long obsession with exorcists and Dracula drew her to urban fantasy, where she decapitates characters with impunity. Steele City Blues is the third book in the Hell’s Belle series, after Hell’s Belle (the first) and Tainted Blood (number two). She writes contemporary romance for a small press under the pen-name Jillian Sterling, and has a day job in entertainment publicity. It is through this spirit, previously considered benign for thousands of vampire years and throughout the Vampire Chronicles, that we come to be told the hypnotic tale of a great sea power of ancient times; a mysterious heaven on earth situated on a boundless continent--and of how and why, and in what manner and with what far-reaching purpose, this force came to build and rule the great legendary empire of centuries ago that thrived in the Atlantic Ocean. First of all, it wasn't the introduction of the alien element that bothered me as I found that rather interesting, and I was curious as to what Ms. Rice would do with that thread. And it opened up a series of possibilities for future books, but I still craved the vampire element that she became known for in her books, something that was hinted at, at times, but didn't fully develop. Lestat will always be one of my favourites, as well as Louis and Marius, but I felt like Marius had changed so much that I almost didn't recognize him. As for Gabrielle, well, she will always be Gabrielle. 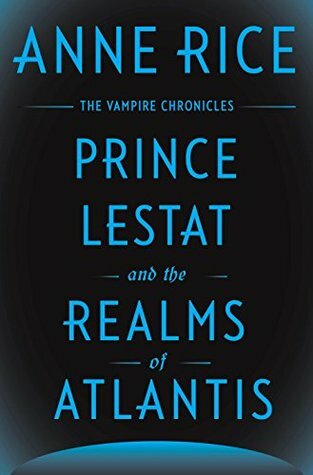 It was nice to see so many of the beloved vampires in one book, but there was such a brief glimpse of them as the story revolved around Lestat and his fight against the strictures placed upon him as prince. I was looking forward to him breaking a rule or two just to see what would happen as in the old days, but I was left disappointed in that as well. When did he develop such a mature angle to his personality? Where is the old devil who tested the boundaries and found against the rules? I miss him. The angle of the aliens was kind of interesting, and I liked the story that developed, but I just couldn't believe in the description of Atalantya and that's where things took a total downturn for me. I could accept an Atalantya that was over 12 000 years old, but I just couldn't accept one that had technology similar to our modern era, and I couldn't buy into it. I'm glad to see that the author decided to do something a bit different, and I definitely liked the philosophical and spiritual themes running through the novel, but I wonder if she could have done things a bit differently. I'm not against the science-fiction vibe running through this novel as everything connects to Amel, but I just feel like so much of the mysterious vampire world had been lost because of it. And it was that world that was interesting. 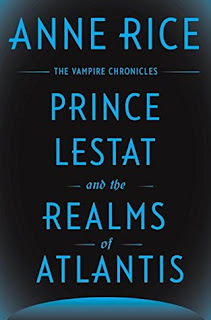 Prince Lestat and the Realms of Atlantis is one of those books over which I have very mixed feelings and I am not sure if I will actually continue reading this series. 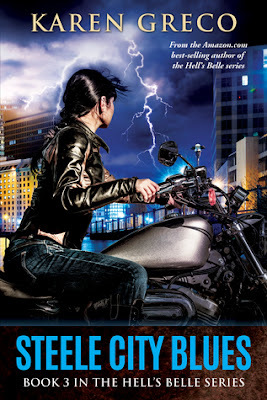 I liked reading these books because the relationships between the vampires were so engrossing and compelling, and the atmosphere just drew you in, whether you wanted it or not. Overall, the book wasn't a complete disaster, and if you are starting with this one, you might feel a bit differently, but the engaging interactions between the characters, the atmospheric tensions, the unpredictability were all missing and these are the elements we have come to expect from a good vampire novel from this author. 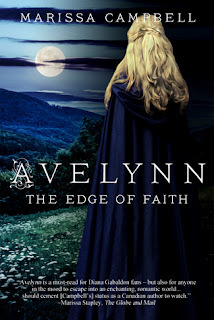 Avelynn: The Edge of Faith is the second book in the Avelynn series and so far, I like this book far more than the first one. It is edgier and grittier than the first, and the author did a great job with the descriptions, creating vivid ones, making you feel like you were part of the story. 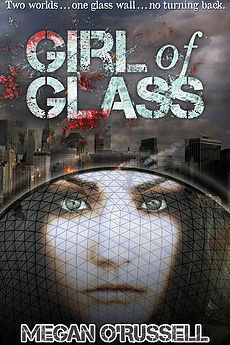 I also thought it was much faster-paced than the first one, although that is not the reason why I liked this one better. Avelynn is a very determined character and I have grown to like her independence and her spirit quite a bit. She doesn't whine about her situation, but takes aggressive control of whatever spot she is in and fights really hard to stay on top without really hurting those around her, even giving second chances to those she really shouldn't. Fortunately, she has a band of very scary Vikings behind her, led by her lover Alrik, who is also fighting to regain his previous power and position in his home land. I like how Alrik and Avelynn come to blows at times, and it is not always Avelynn who gives in; it is just so much more realistic for someone who has known her whole life she was being brought up to rule to win a few of the battles against Alrik, showing her inner strength and force. She is also learning how to wield her power and I found this learning process to be quite interesting. There were many themes in this novel including loyalty, friendship, strength, power, ambition, friendship, and politics, but one of the ones I liked the most was the subtle one involving women and power. Women didn't seem to have a lot of power during these times, but the author shows how deceptive this was because the type of power women yielded was through their knowledge, their intelligence, and their skillful manipulations of men. Avelynn and many of the women in this story used very clever manipulations to solve problems or to get men to do their bidding while making it seem as if it was their idea in the first place and I found it quite fascinating, often holding my breath wondering how the situation would turn out. Avelynn: The Edge of Faith was a very satisfying read, with many twists and turns, although it does have a more satisfying ending than the first book did. I liked the descriptions of the various pagan rituals as well as the descriptions of daily life, but that is something that I enjoy. While I wasn't a bit fan of Alrik at the beginning, and am still feeling ambivalent towards him, he has grown on me somewhat as his character has developed and I am hoping to learn a bit more about him in the next novel as I feel there is still to much of a shadow regarding him and his life to be satisfying. If you like medieval historical fiction though, I do recommend that you pick up this series and give it a try.